I think the scales of the vehicles are just perfect in these pics. The infantry remains to be seen. "i think the scales of the vehicles are just perfect in these pics." --> i agree, before it was too small but now it is just perfect. 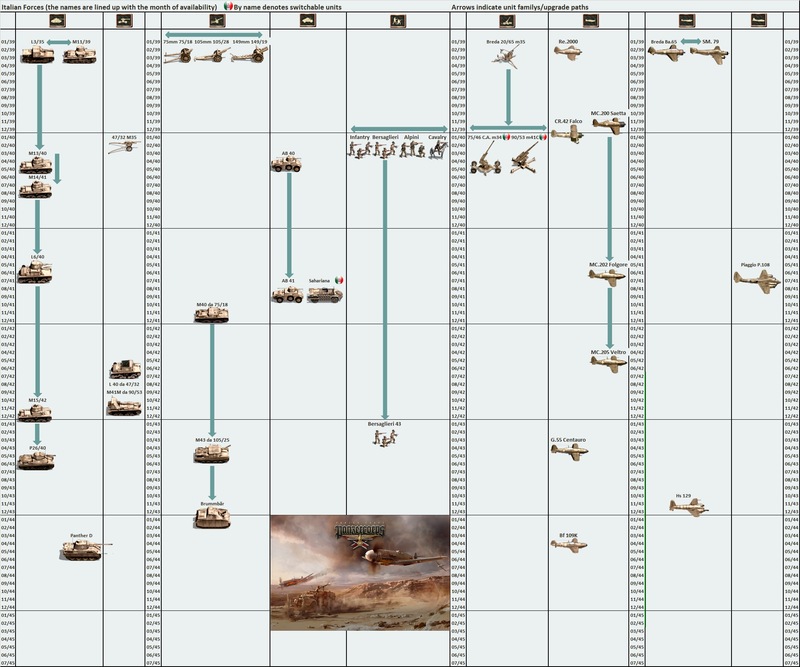 For example, just yesterday Scenario Editor has got a new feature to import any Panzer Corps scenario, which can then be edited and resaved in Panzer Corps 2 format. This has been requested in the comments to one of the diaries, and now it is implemented. Thanks a lot AlbertoC, this seems great news! Just for my understanding, will this work for large-scale mods/maps as well, e.g. regarding several scripts across multiple AI zones, etc.? Will PC2 work on windows 7 systems? I don't think tunnels would work. They could be good for singular mountain or hill hexes that have rail lines present, but if a rail line ever goes through multiple adjacent hexes it could be really hard to see the rail lines. How do you tell if a tunnel has a bend to it? Plus it'll be doubly weird because units don't visually go in the tunnel, they are on top of the terrain. Instead of tunnel, how about you blast valleys into these mountains for the rail line to run down? It would look somewhat artificial, but isn't that what dynamite blasting does? If it was like 40k, that's just making too many art variations of tiles to be feasible. But this game is all 3D, so I'm hoping changing the shape of the mountains to create a new hex graphic isn't so difficult and arduous as it was in that psuedo 2d/3d game. If getting every bend, split and merge rail possibility is too much effort, for technical or artistic reasons, I think designers can settle for just the 3 straight directions. It'll be just like Panzer Corps and 40k in that regard. If the terrain graphics that bend in X manner don't exist, you're simply not allowed to create that design pattern on your maps. Yeah, long tunnels wouldn't work, I was thinking more in a way of "little" tunnels, that should just be crossing the mountains' peaks and having the start- and endpoints within the same hex field. Wouldn't look like the tracks are just "plastered" onto the terrain. But it might look also weird when strung together over multiple hexes, that's true. I have no clue how the mountains/hills are being generated by the game, but it may be enough if the tracks would follow the natural valley formations for a more aesthetic railyway pathing. When possible, it could be generated automatically depending on the slope of the mountains/terrain and general direction of the tracks. Like water drop pathing with hydrologic models. It does not have to be a straight line, right? 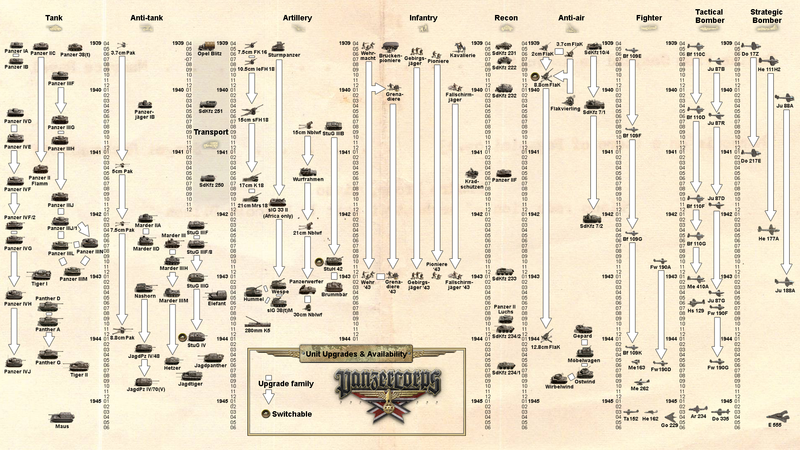 We are confident that 2019 will be a “Panzer Corps 2 year” and that Panzer Corps will get a worthy successor which will deliver many hours of fun to all the fans of this genre. I understand you can't give a specific date for when it will be ready, but can you ball-park it? Are we talking about before the end of winter? Sometime during the spring? Or by Summer? They haven't even started beta testing so I'm guessing it's not soon. Also, some of the people who've worked on content for PzC are talking like they've never seen PzC2. And of course infantry are nowhere to be seen in any of the screen shots. I am both anxious as a little sceptical about the PC2 changes. 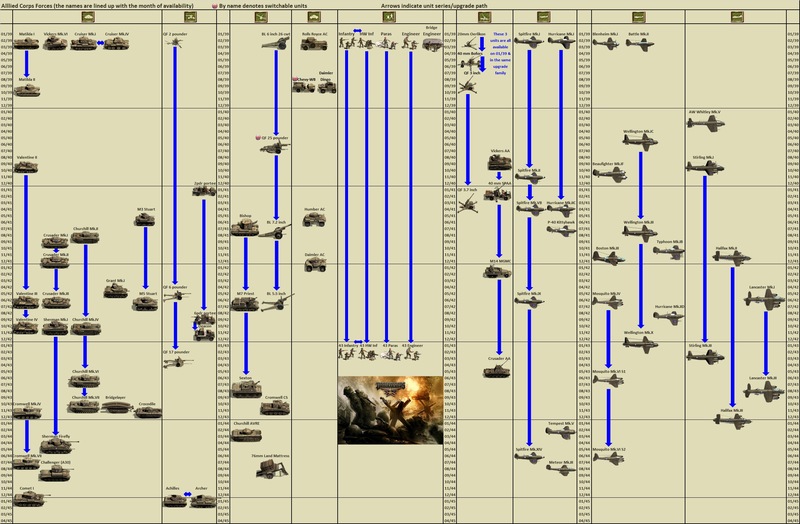 Anxious about a new development dating back to the Panzer General based games - admirer and (too much time consuming) gamer/fan since. 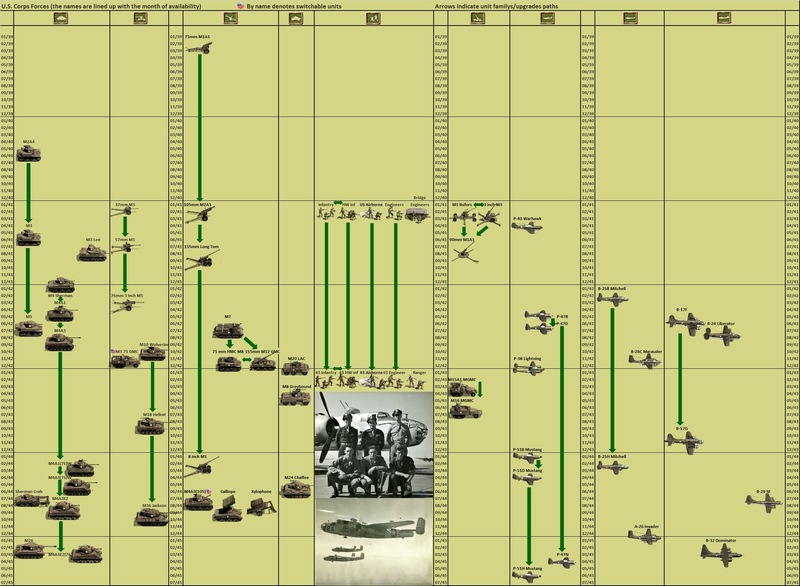 PG and PC have always suited my quest and need for a WW2 turnbased game. Sometimes it feels difficult te be confronted with fundamental changes and the change from 2D to 3D remains such a fundamental change. Although I like the graphics, it still is an awkward mix of two different worlds. In a 2D world I dont mind if the icons are too large compared to their surroundings (and PC battles are played in great variety of scales - hex sizes vary greatly). But in a (sort of) 3D world, size of the icon/unit becomes more important for me - and as of now the units are representent too large. I would surely want to know, like mentioned before, what exactly are the consequences of facing subsquently attacking/defending the enemy from different sides. Despite my critizism, I am surely going to buy PC2 . You are correct that Slitherine out to put these out and publish them officially, but they don't. Turn4444, a wonderful forum contributor, made most, if not all, of them. @proline: Thanks for pointing this out. So there is the German, the Italian and the Russian, are there still more, e.g. UK/US as well? I believe that most serious players will play with the hexes on (feel free to prove me wrong, in fact how about a small poll with two choices to check) in order to get the most accuracy and maximum amount of info for the least eyeball time. Therefore screenshots without the hexes will not be as representative of real world play or as informative/accurate as ones with. So why cant we have those same screenshots with hexes?. Thanks. What would be nice is a multifunctional chart, which not only mentions at what time to expect another upgrade, but also to be able to compare these with the ones available on the other side. It would give a better choice what to do: hold on with what you got or give it a chance and upgrade - upgrades may give you a -2 INI and at the same time give a +2 DEF bonus. Knowing you adversary makes better decisions. So - its all a matter if Slitherine picks up the message I guess - I'd volunteer to have another go at it on PC2, but Im a slow player so it takes a while to keep an eye out which unit appears at what date. Sounds a bit like a secret service job! Has anyone seen a UK/US chart by the way? Hadn't seen that chart until now. I agree, it would be a nice feature for all countries in the game. I agree as well, if the dots are only reinforcing the FoW line. In fact, I really like the current PC FoW with the faded border far more than the pictured hard line. Much more subtle and less distracting as Kerensky's image comparison shows. Yes! large wheat fields, please! It would be a great new terrain type. The game is looking better and better with each dev diary. Looking forward to seeing how it progresses! At least in PC, these type of comparisons are fairly simple to do, that is if you use my PC reference sheets and you have a basic Excel literacy (I'm in no way disparaging those who don't). As the spreadsheet is currently configured, each unit class is sorted by country and series (e.g. 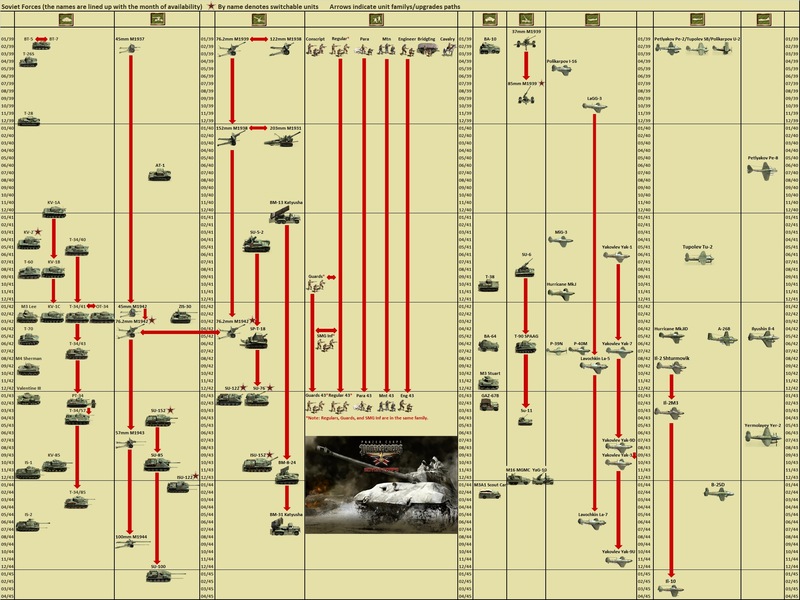 Germany's Panzer IIIs are in order then Panzer IVs, etc.). It is very simple to select all the units and then sort them by availability date (column T) then you would know what order who is getting what and on what date (you would apparently have an excellent spy network). As the units are colored coded by nationality (at least the major nations in the game), it would be easy to see which units are pertinent to the campaign you are playing and you could tell quickly when both you and your opponent can expect upgrades. If you want to go back to the original form of the spreadsheet, either don't save it when done or sort it again by columns S (flag) and Y (series). The first option will again give you the original formatting with spaces between nations, the second will not. Topic with spreadsheet file link below.